Residents who were left without power for a weekend following a power surge in Bournemouth are to get compensation. 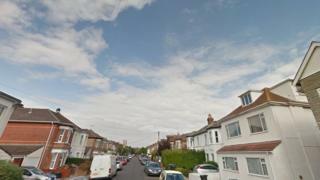 The surge initially caused a power cut to about 470 properties in St Clements Gardens, Walpole Road and Hamilton Road on Friday at about 18:40 BST. Scottish and Southern Electricity Networks (SSEN) said it was in the process of contacting the 300 households eligible for compensation. The firm said the full cause of the surge was not yet known. It caused faults in fuse boxes and filled some homes with smoke and started a fire on a roof in Hamilton Road. Power was restored to about 200 homes on Saturday and the remaining by late Sunday afternoon once engineers had carried out safety checks.